A gift from a former TAMU doctoral student in biochemistry has established the Donald and Melba Ross Graduate Scholarship in the Department of Oceanography. 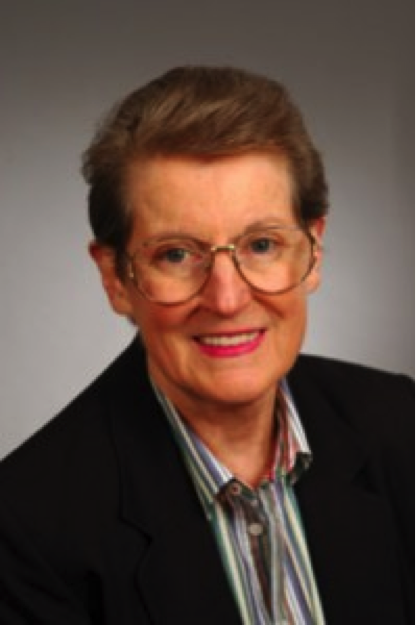 Carol Litchfield was professor emerita and research professor in the Department of Environmental Science and Policy at George Mason University when she died April 3, 2012. Total funds were $517,969.27, evenly split between oceanography and the Department of Plant Pathology and Microbiology. The scholarship honors Dr. Litchfield’s parents. Dr. Litchfield graduated from the University of Cincinnati in 1960 with a M.S. in biochemistry and from Texas A&M University in 1969 with a Ph.D. in organic biochemistry. She served on the faculty of Rutgers University and worked for DuPont in several positions before joining George Mason faculty in 1993. A scientist with interests in a wide range of subjects, Dr. Litchfield’s was a member of numerous professional organizations and served on professional and government panels and committees, including the New Jersey Governor’s Panel on Coastal Waters and the Environmental Biotechnology Working Group of the U.S. Dept. of Energy. She was president of the Society for Industrial Microbiology and was presented in 2012 with its Charles Porter Award for her achievements in applied microbiology and her exceptional service and dedication to the organization. An issue of the Society of Industrial Archeology noted that Dr. Litchfield was, among other things, a historian of the salt industry. As a member of the International Commission for the History of Salt, she traveled the world visiting historic salt mines and processing centers. "We are honored that Dr. Litchfield chose the Department of Oceanography as a benefactor of this incredibly generous gift," said Dr. Debbie Thomas, department head. "Her gift will help a new generation of scientists embrace the joy of discovery as enthusiastically as she obviously did in her life." Dr. Litchfield's bequest is just one of several ways Texas A&M supporters can use planned gifts to fund specific areas at the university they are passionate about. Gifts of real estate, stocks and bonds, retirement assets, insurance disbursements and even mineral rights are other methods commonly used. There are also a number of trust options that can provide potential income and tax benefits for donors and their family members, while helping Texas A&M at the same time. To learn more, visit the Texas A&M Foundation Office of Gift Planning web page or call (800) 392-3310.